PICKKA's "Eat This?" app for the iPhone is as easy as 1-2-3! Have you ever had one of those days where you are constantly on the run going from one event to the other without even a break to use the restroom? The kind that entails meeting after meeting at work, with the last one running overtime causing you to scramble to pick-up your child after school so that you can next fight your way through traffic to get him to karate class on time? 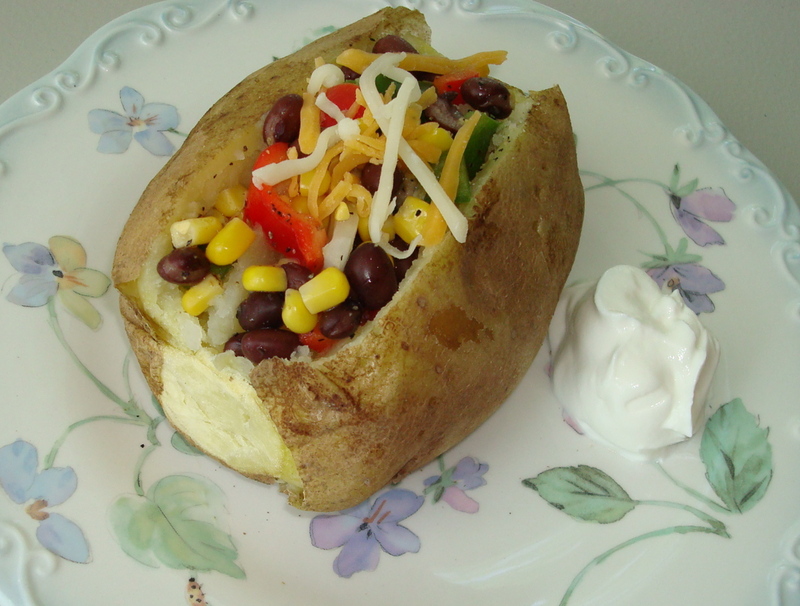 A day that doesn’t come to an end until it’s dinner – a time when you should finally be able to relax, but then you realize you have nothing in the house to eat and you need to go to the market? Adding to the burden, you are trying to watch your diet and eat healthier foods, but after a day like that, who has the time or energy to compare nutrition labels?! Enter PICKKA’s new “Eat This?” app by “Shop to Lose” for the iPhone 3G and iPhone 3GS – it’s as easy as 1-2-3! There is no need for you to waste time standing in the grocery aisle trying to sift through nutrition facts and ingredients lists – PICKKA’s “Eat This?” app does all the work for you. 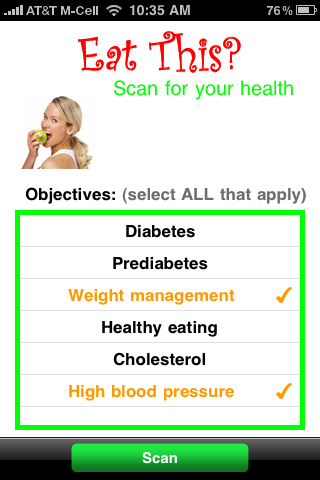 Simply enter your health objectives (e.g., weight management, diabetes control, healthy eating, etc.,), scan the bar code of the product with your phone’s camera, and wah-lah instant nutritional information pops up for your viewing. PICKKA’s “Eat This?” health meter will let you know what foods meet your health goals. Don’t like the choice it has given you? No worries, because this app also provides alternative products in a similar category. Concerned about the product’s taste? “Eat this?” has you covered with its “consumer rating of taste” feature. 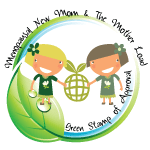 Other users of the app can rate the taste, the results of their evaluation are made available to you – providing you with additional decision making power without the additional effort. You can download this app now for $0.99. To learn more about the “Eat This?” app click here. After you download the app, try it out and come back here and let us know how you like it. Share with us, we want to know! “Eat This?” is as easy as 1-2-3! First, enter your health goals. 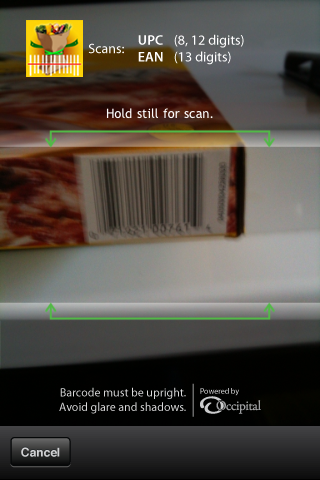 Second, scan the product's bar code. 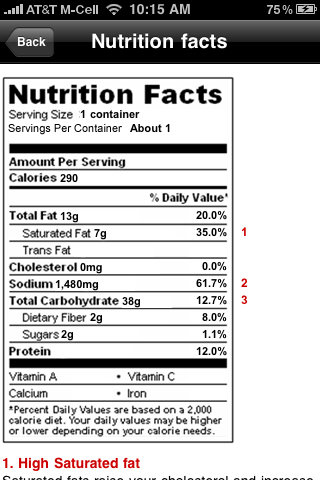 Nutrition Facts appear for your review. "Eat This? "explains why a product does not meet your health goals. 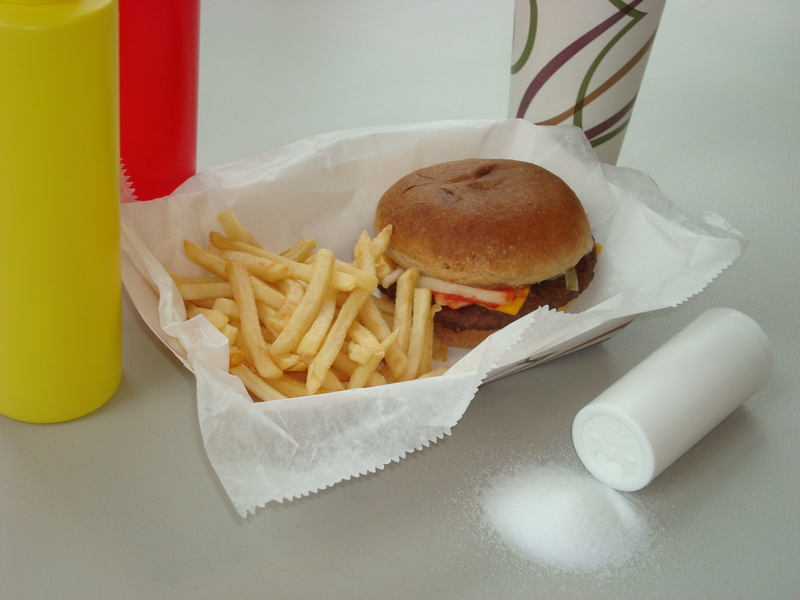 The sodium content of some fast food meals may exceed recommended daily levels for adults. You might be getting more than you bargained for when you bite into that cheeseburger or chicken sandwich you purchased from your favorite fast food restaurant. But, this is not the “buy one get one free” offer you want. 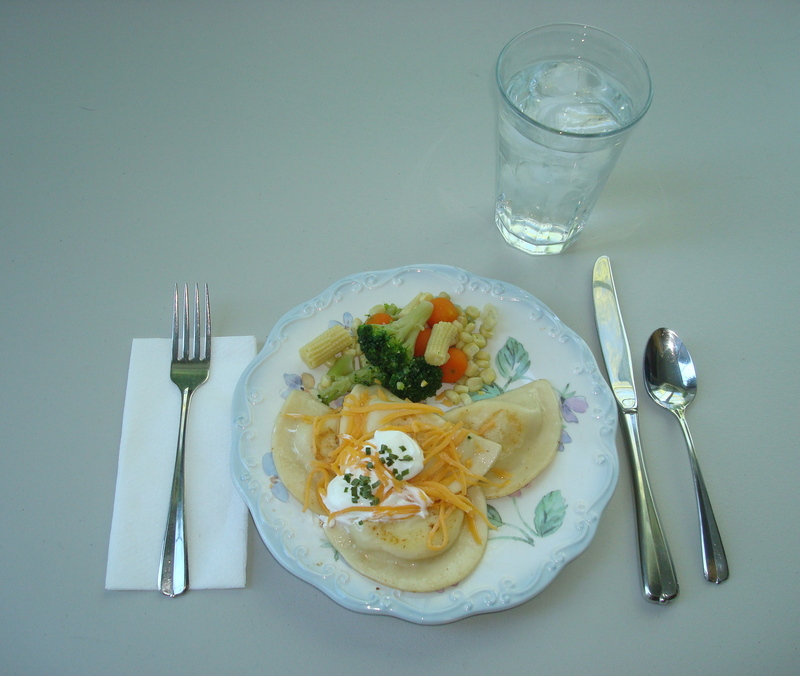 According to a study published in the April 26, 2010 issue of Archives of Internal Medicine, fast food meals are not only high in calories, but contain an excessive amount of sodium as well – with 20% of the total meals studied containing more than the recommended daily amount for adults, which is 2,300 mg. If you think you are making a healthier choice by choosing a chicken dish over a hamburger meal when dining at a fast food chain, think again. The current study found that 55% of the meals at fried chicken restaurants contained more than 2,300 mg of sodium. Meals from the fried chicken establishments also contained, on average, 66 more calories per meal than from burger chains. Furthermore, the chicken meals contained nearly 900 mg more sodium than burger meals. Data from the recent study was obtained from 6,580 lunch hour receipts of adult patrons from 167 fast food chain restaurants. The sodium content of the average meal (from both chicken and burger chains) was 1,751 mg – with 57% of all purchases exceeding 1,500 mg of sodium. Considering that 75% of all dining out experiences occur either at casual or fast food chain establishments, these findings highlight a major public health concern. 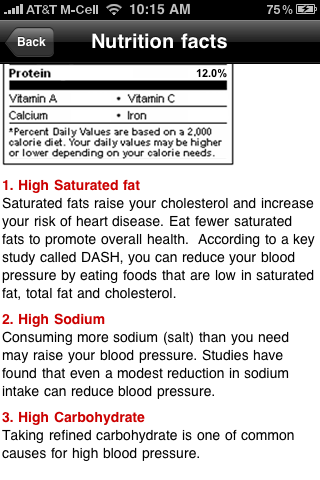 Excessive amounts of sodium consumption can lead to elevated blood pressure levels. Having a high blood pressure condition, known as hypertension, increases your risk for cardiovascular disease. Fortunately, according to the authors of the study, The American Medical Association is calling upon the food manufacturing industry to reduce the sodium content by 50% in processed foods and restaurant meals. Some fast food chain establishments are already making changes. In the mean time, how can you make a healthier choice the next time you visit a fast food restaurant? Check the establishment’s website. Many now post nutrition information for the meals on their menus, which you can access prior to your dining experience. 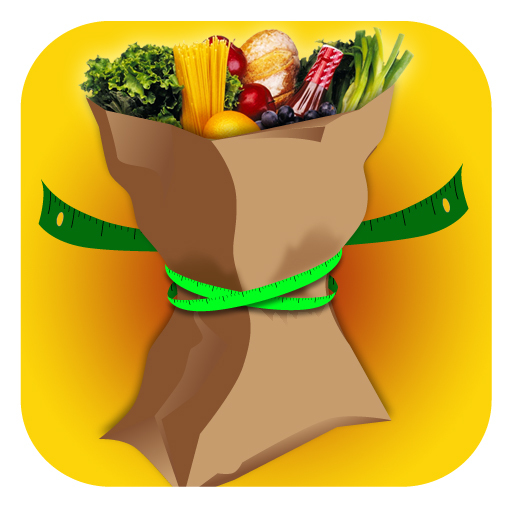 For healthy decisions that have to be made on the fly, use the “Shop to Lose” app for the iPhone which provides the nutritional information, including sodium content, for several restaurants. Win $100 iTunes Cert for Using “Invite Friends” Feature on Shop to Lose App! Download the Shop to Lose iPhone app and use the “Invite Friends via Email” feature to send an email invite to shoptolose@pickka.com. You will then be entered in the drawing for one of three $100 iTunes Gift Certificates to be given away on April 30th. Share this offer with all your friends so they can get ShoptoLose on their iPhones and find the right healthy foods when they are shopping (and they can have a chance to win a $100 iTune Gift Cert, too! ).